With Tiger Woods' mum being a local, it's no surprise the dwellers of Bangkok are golf crazy. 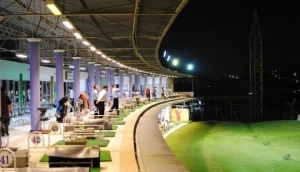 The city is a buzz of driving ranges for all standards and the perfect place to get practising your swing. The ranges are usually fairly plush, with caddies at hand and shaded seating areas.